A social media frenzy about the color of a dress is bringing fame and fortune for one small British fashion company. The retailer, Roman, said sales of the outfit that sparked #TheDress debate soared 347% Friday. 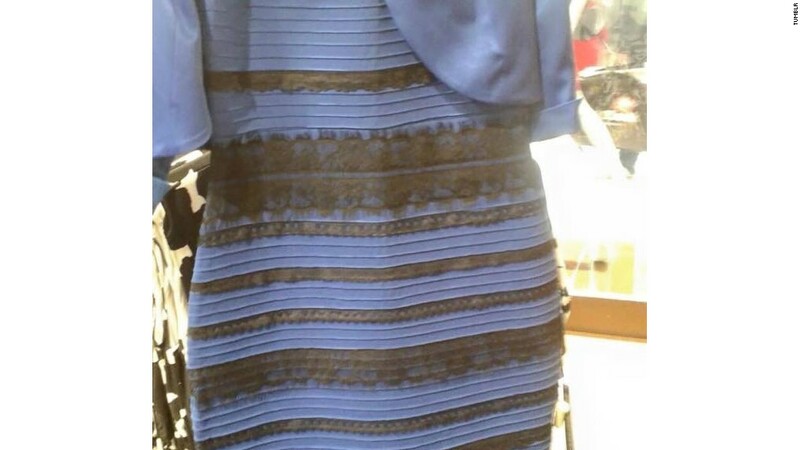 Some people were convinced the dress was black and blue; others saw white and gold. "I can officially confirm the color is royal blue with black trimming," said Michelle Bastock, Roman's fashion director, during a television interview with CNN's Nina dos Santos. Bastock, who wore the dress during her CNN interview, said she planned to start offering a white and gold version. It would take about six months to make it available. Roman's website was quickly changed to feature the hotly debated dress on the front of its homepage. "We were really surprised and really happy... It's just amazing," Bastock said. "We're really busy. All the team on the website are going crazy." Bastock said the website had been coping well with the surge in sales and online attention, and the company still has more dresses in stock. "We still have plenty in stock," she said. "Plenty to go around," noting that the dress is available in other colors as well. It currently sells for £50 ($77). Roman has 132 stores across the U.K. and has been expanding at a breakneck pace, said Bastock. The company is opening one new store each week. The debate about dress colors was sparked after a Tumblr user named Swiked asked people for help in figuring out the dress's true colors.